The delectable single estate cacao in this special chocolate bar contains soft caramel flavours and creates a taste adventure from Java that is sure to blow your mind. Don’t take Willie’s word for it – now you can try it for yourself! Dark Chocolate - contains cocoa solids 69% minimum). Ingredients: Cocoa Mass, Cocoa Butter, Cuban Raw Cane Sugar. 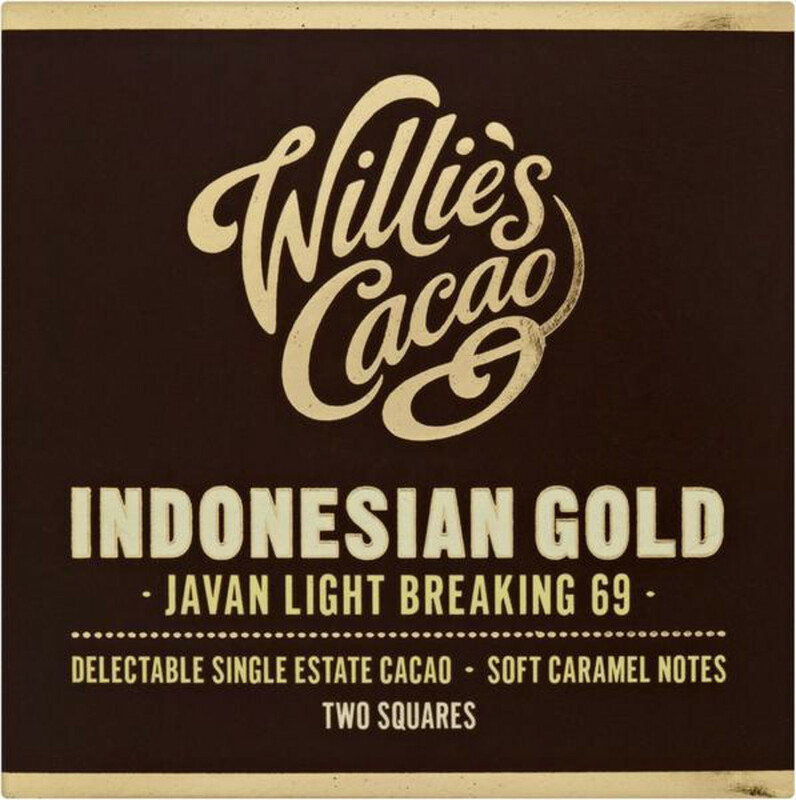 There are currently no questions to display about Willie's Cacao Indonesian Gold Dark Chocolate - 80g.